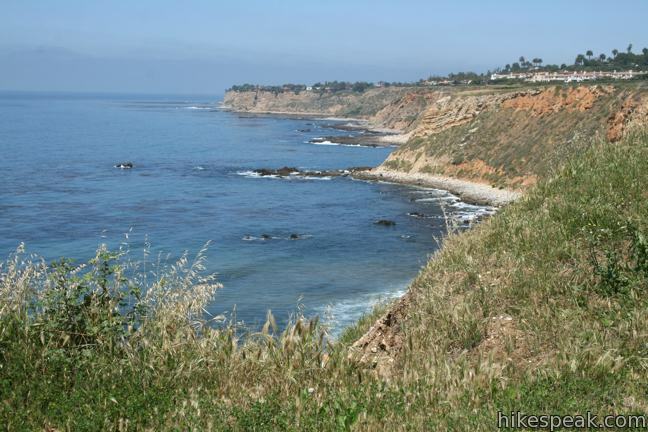 Looking for an easy family-friendly trail on the Palos Verdes Peninsula that also has great views? 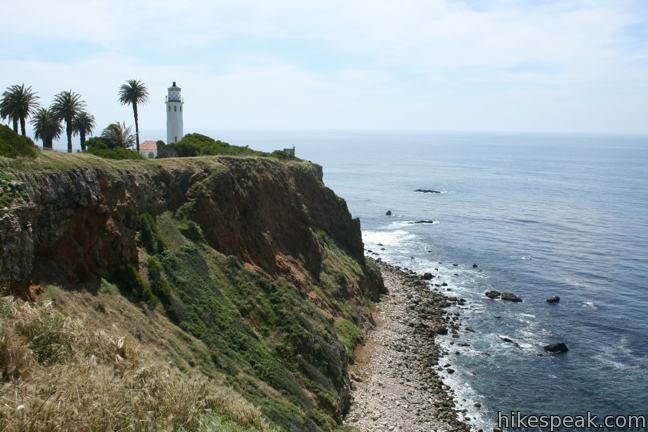 Seascape Trail is for you – crossing scenic coastal bluffs north of Point Vicente Lighthouse. The level trail is about 0.7 miles long with a meager 40 feet of elevation change. 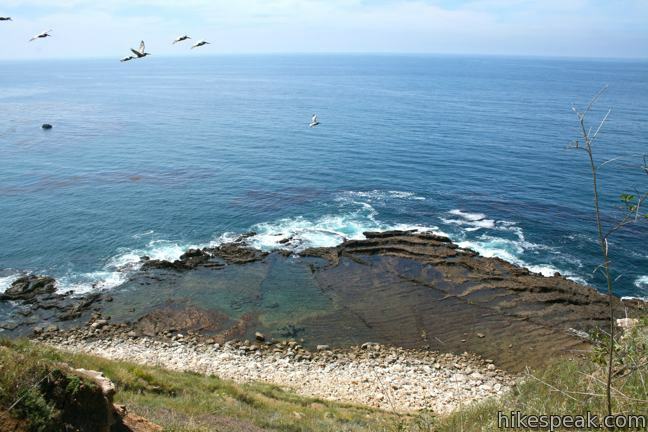 Starting from the Terrace Trail Access Point, this is a 1.5-mile hike with excellent ocean views. 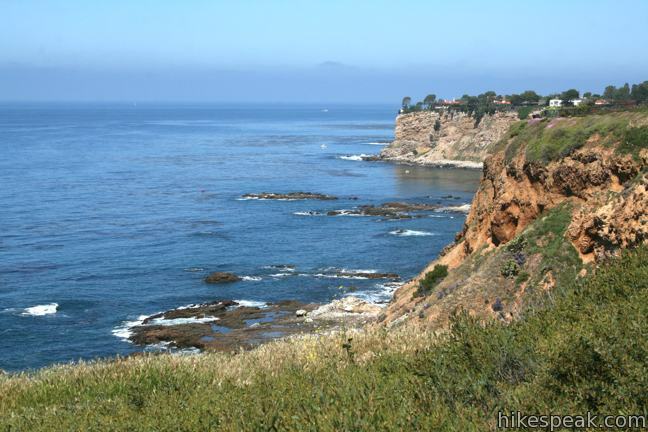 You can begin hiking Seascape Trail from a few places, including from Point Vicente Interpretive Center at the south end of the trail. 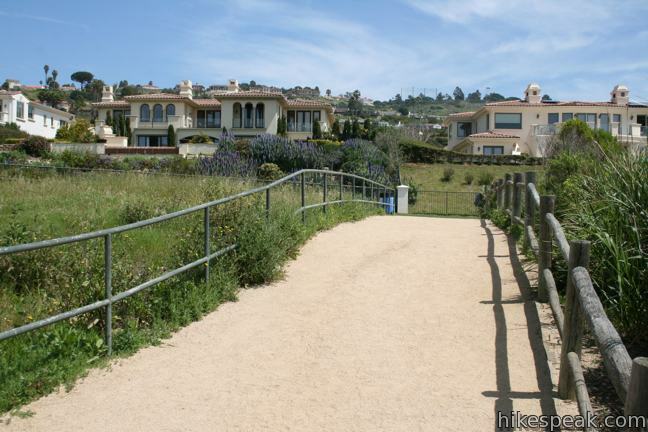 Terrace Access Trail is an easy place to start as it begins from the end of a residential cul-de-sac with ample street parking that is located just off Palos Verdes Drive. Walk less than a tenth of a mile west on the connection trail to reach Seascape Trail. 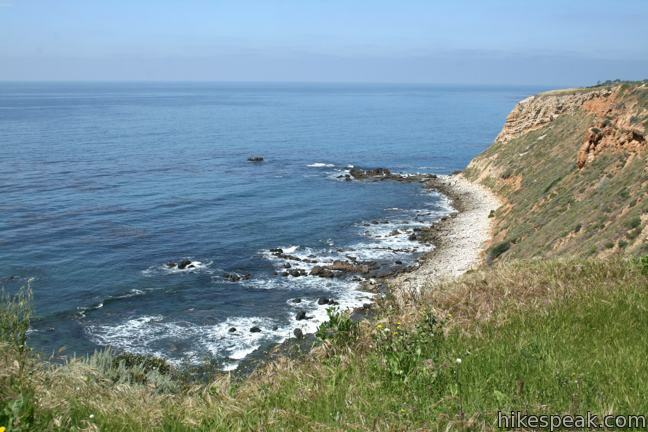 To the left, Seascape Trail continues for 0.2 miles to Point Vicente Interpretive Center. To the right, the wide wheelchair-friendly pebble and dirt trail traces the bluff for half a mile before coming to an end at Calle Entradero. A third of a mile up is a junction with another access trail coming in from Calle Entradero. 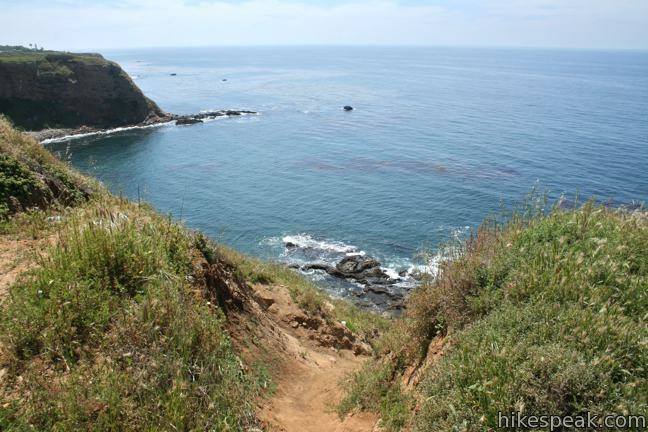 The north end of Seascape Trail crosses sage covered bluffs that look out over dramatic coves on the peninsula’s shoreline. 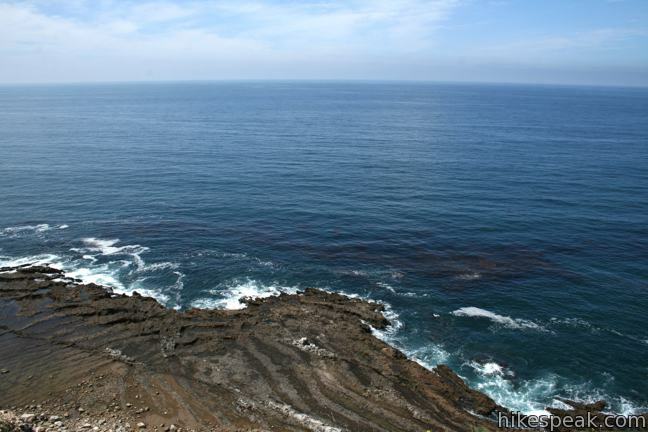 One can see a great distance from this perch 150 feet above the ocean waves. 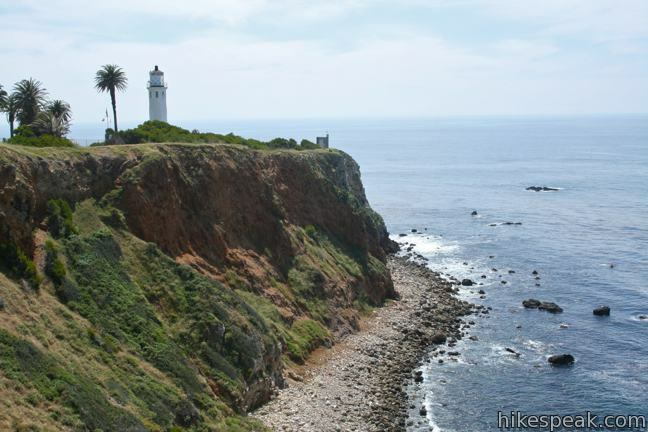 South of the Terrace Trail junction, Seascape Trail progresses toward the historic Point Vicente Lighthouse, at the southwesterly most point of Palos Verdes Peninsula. The man-made monolith stands stoically above the jagged headland. 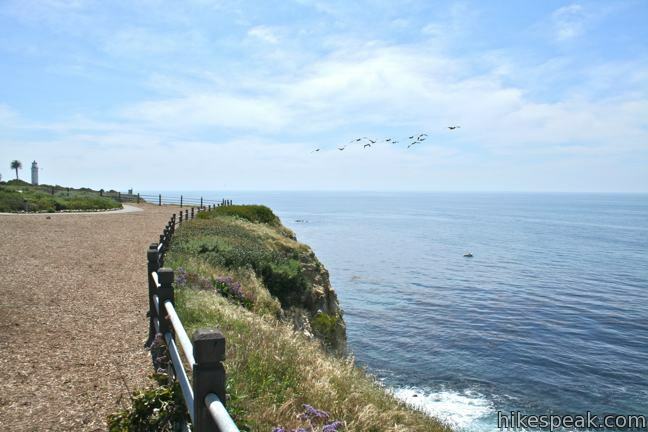 Unfortunately, Seascape Trail ends at the Point Vicente Interpretive Center. 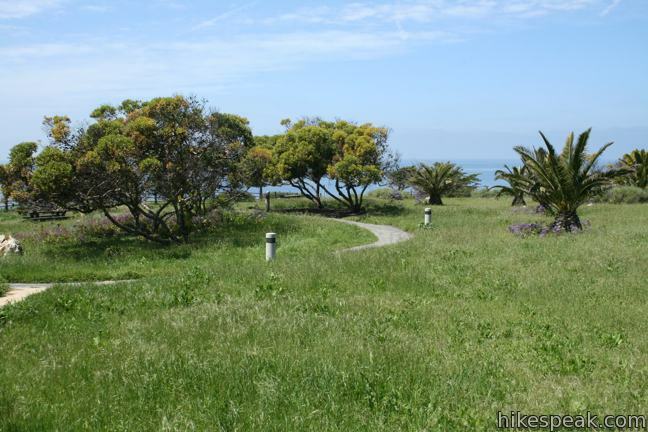 Between the interpretive center and the lighthouse is a picnic area and a parking lot. A large fence restricts access to the beacon itself, which is only open for tours on the second Saturday of each month except March. 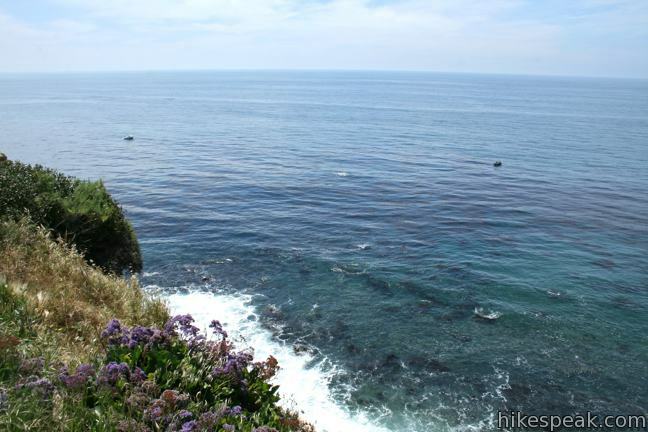 A long railing protects the bluff side of Seascape Trail, displaying warning signs about the obvious danger of getting too close to the edge or trying to climb down the sheer cliff to the ocean. 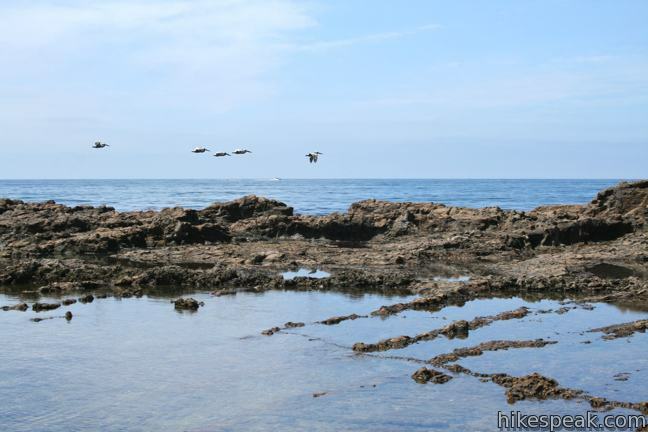 Such things would be foolish along Seascape Trail, but there is a path 0.3 miles beyond the north end of the trail that drops down to the waterfront at the site of expansive tide pools. 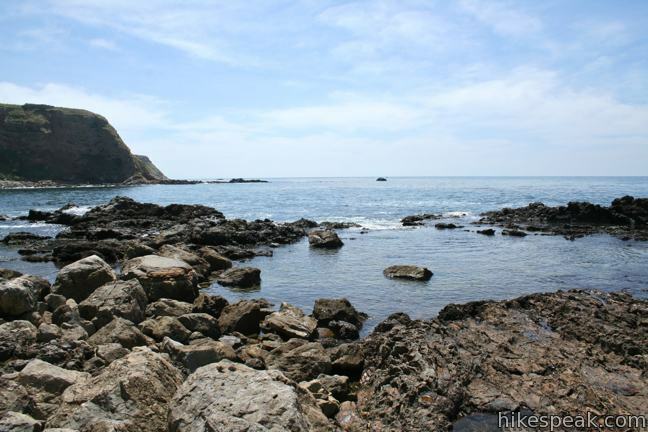 This is a fun area to explore if you have adequate footwear and don’t mind climbing back up the steep 150-foot bluff at the end of the trek. Walk or drive to the small parking area near the top of Calle Entradero just before it turns inland. 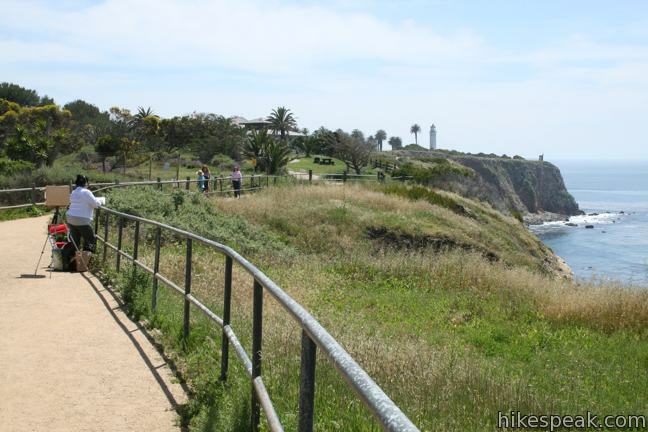 Slip through the railing and find the path dropping off the bluff to the south. 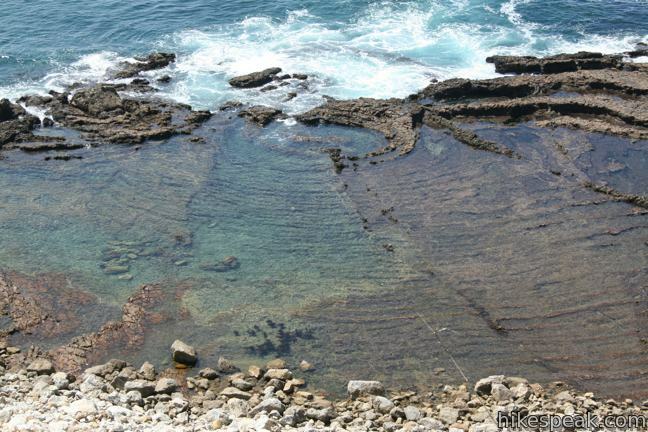 Watch your footing down the steep bank as your eyes will easily be distracted by the impressive tide pools below. 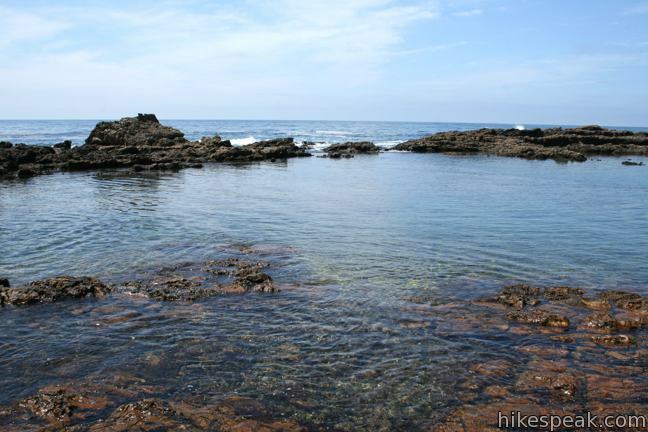 At the bottom of the trail, walk across the boulder-sized rocks covering the beach to reach the tide pools. 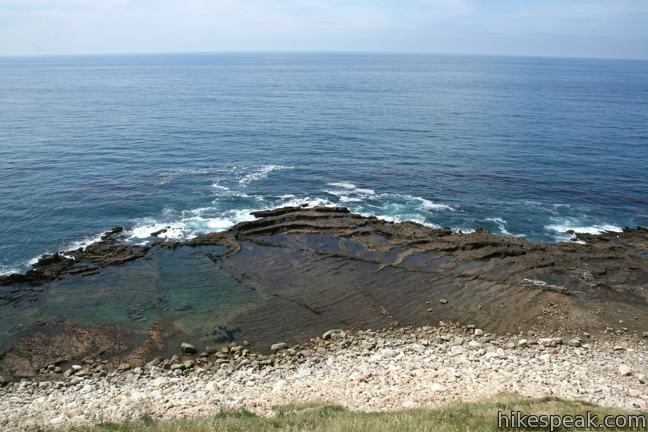 From here you may also trek up and down the rocky coast as far as you desire before returning up the steep path. 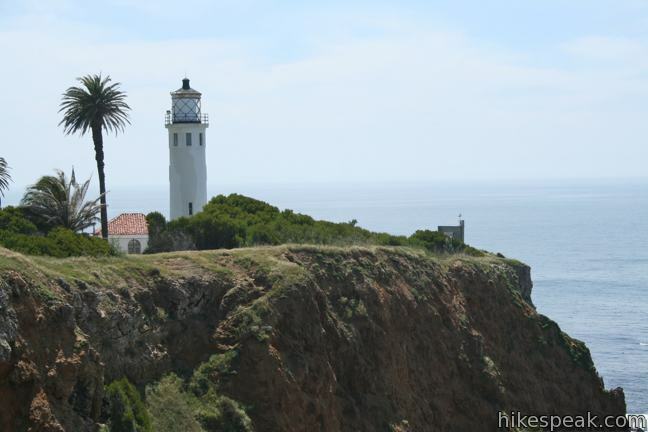 Seascape Trail offers picturesque views of the lighthouse and the coast. 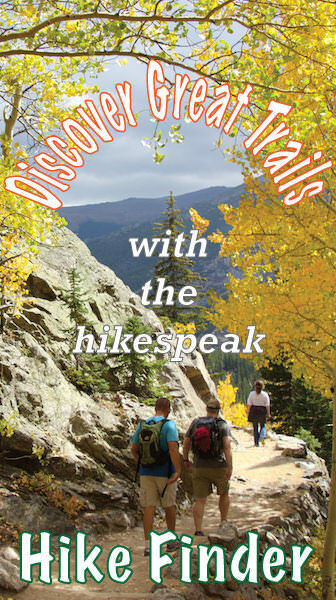 Though the trail provides more of a stroll than a hike, it is a pleasant promenade that all ages and abilities can enjoy. 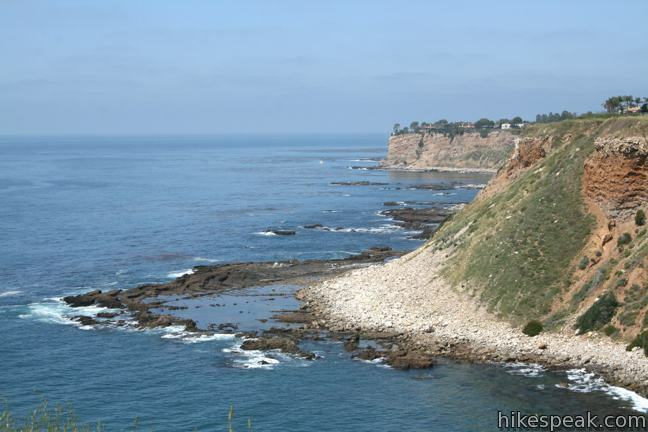 No fee or permit is required to hike Seascape Trail on the Palos Verdes Peninsula. Dogs are allowed on leash, but bicycles are prohibited. To get to the trailhead: From Los Angeles take the 405 or 110 Freeway south to the 405-110 interchange near Carson. Continue south on the 110 Freeway for 8 miles to the end of the freeway. Turn left on Gaffey Street and make the third right on First Street. After one mile, turn left on Western Ave (Route 213) and drive 1.7 miles south to an intersection with West 25th Street (Ahead, Western Avenue continues toward White Point Nature Preserve). 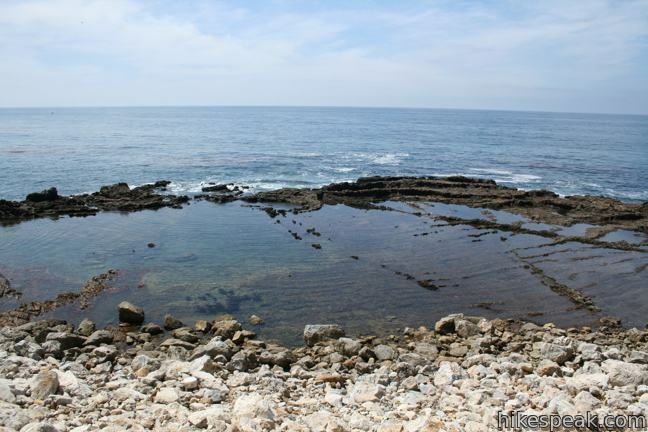 Turn right and drive 1.3 miles on 25th Street until it becomes Palos Verdes Drive. Continue 5.3 miles to an intersection with Hawthorne Boulevard. Turn left at the light onto Via Vicente (opposite Hawthorne Blvd.). 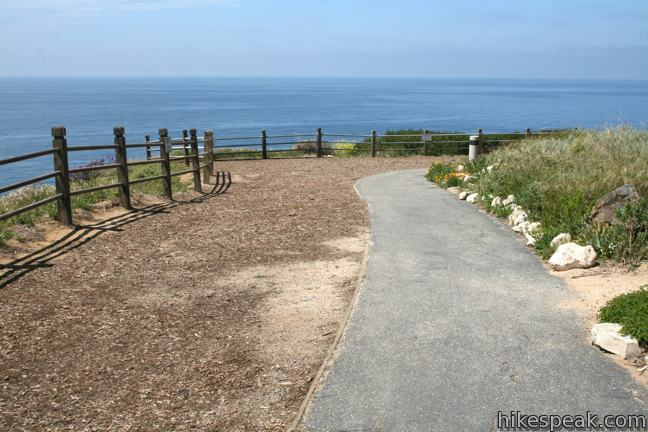 After 1/4 mile turn left again onto Pacifica Del Mar and drive 0.1 miles to the trailhead at the end of the cul-de-sac. Street parking is available. These photos were taken in April of 2011. Click to enlarge. I was wondering can you go in the water at seascape? Once you are down by the water? There should not be any rules against it, but the waterfront is completely rocky with no sand. Thanks so much for this post! Just did this hike this afternoon based on your recommendation and we had a blast! 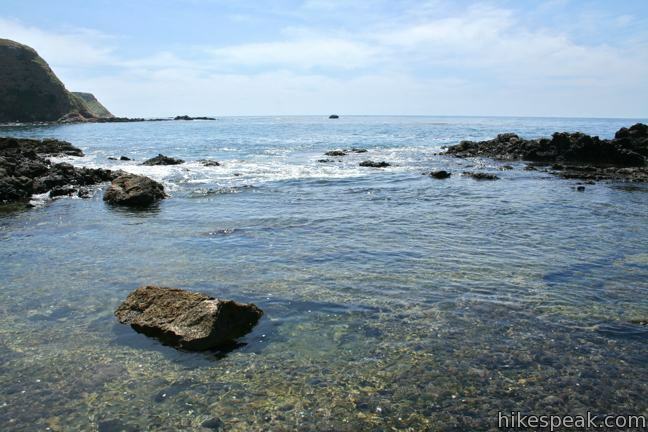 We were at Abalone Cove today and we didn’t see any starfish! Has anyone seen any around lately! The best times to see star fish is when the tide is at zero or below zero. PLEASE NOTE THE LIGHTHOUSE TOWER IS CLOSED UNTIL FURTHER NOTICE DUE TO MAINTENANCE ISSUES. GROUNDS AND EXHIBIT ROOM OPEN DURING SCHEDULED OPEN HOUSE. VISIT http://www.vicentelight.org FOR MORE INFORMATION. 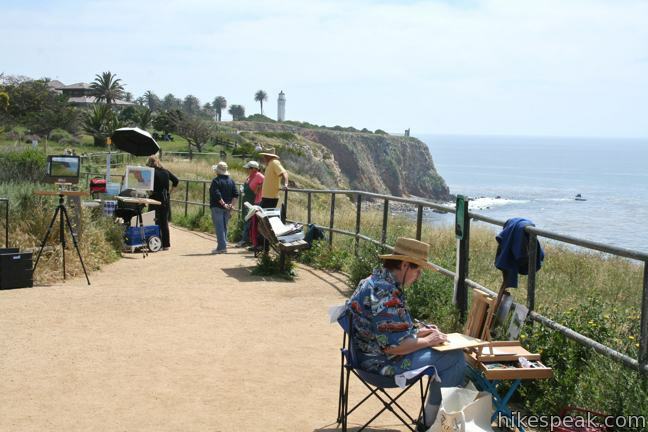 The Point Vicente Lighthouse is open for tours on the second Saturday of each month, 10am to 3pm PST., except for the month of April when it is opened on the first Saturday in conjunction with the City of Rancho Palos Verdes’s Whale of a Day Festival the hours are 10am to 4pm PST. 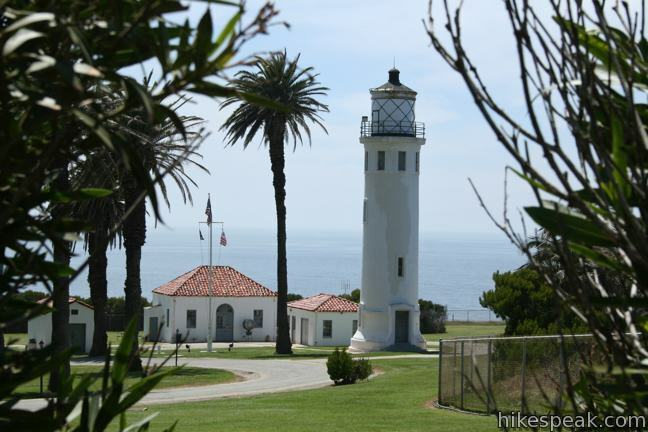 The lighthouse and grounds are Federal Property owned and operated by the United States Coast Guard. 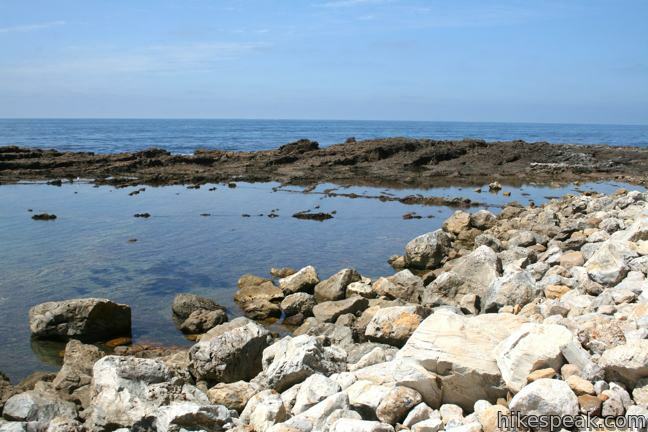 Do I need a permit to do a mermaid type photo shoot there – about 4-6 photographers and 12 or so models? We were there yesterday. 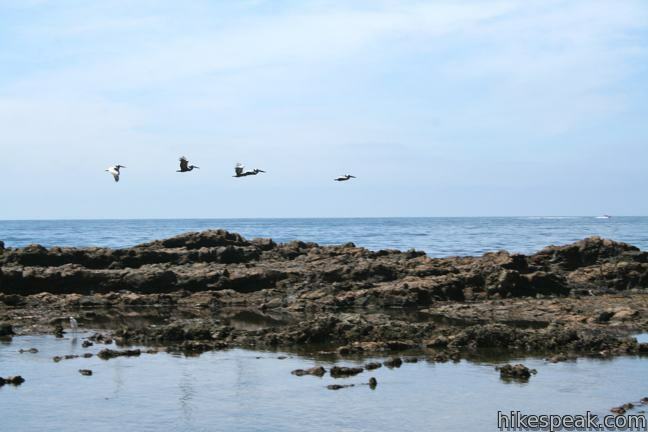 I’m not sure there is a trail down to the tide pools anymore. At least not a legal one. The signs are pretty clear that they do not want you going through the rails. 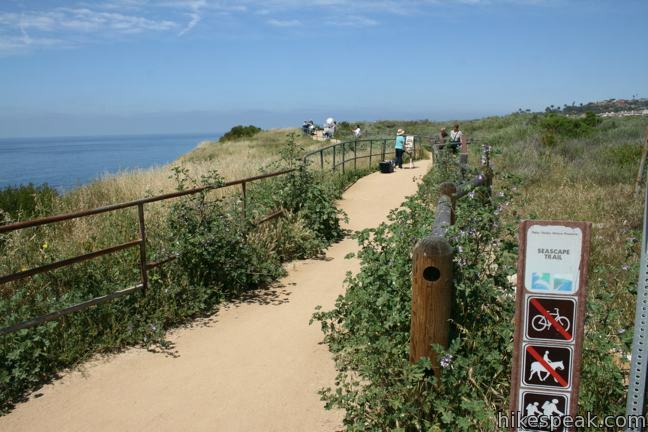 Is Point Vicente Lighthouse Trail wheelchair accessible? I did not mean to give this trail a poor rating. I was trying to click on the rating stars to see others’ ratings before I go. Is it possible to remove my review? Thanks! The rating has been removed. Thanks. Its a great place, however, they close the trails if it rains or has rained in the last couple days, so I wouldn’t go out of your way if it rained in the couple days before you are planning on going.